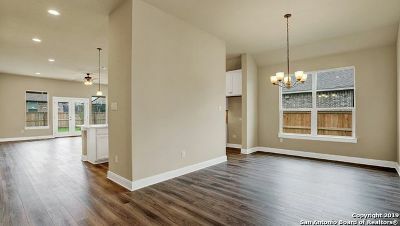 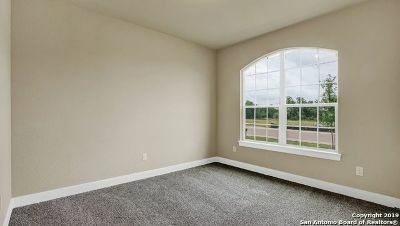 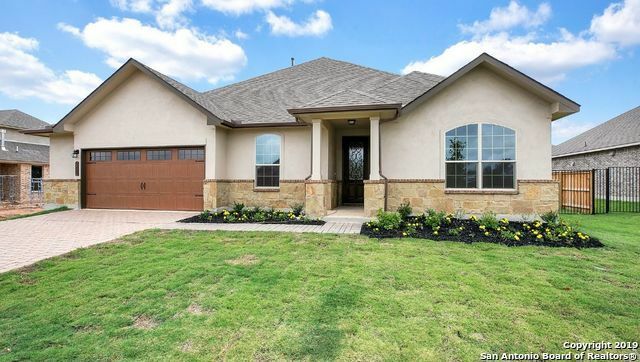 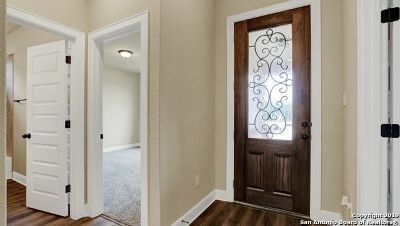 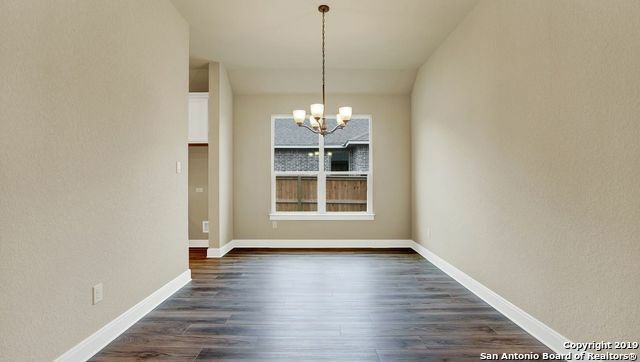 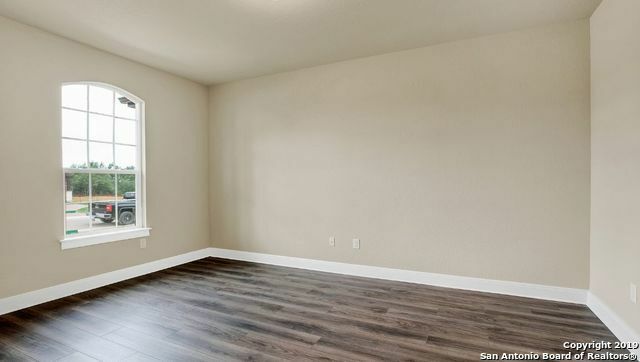 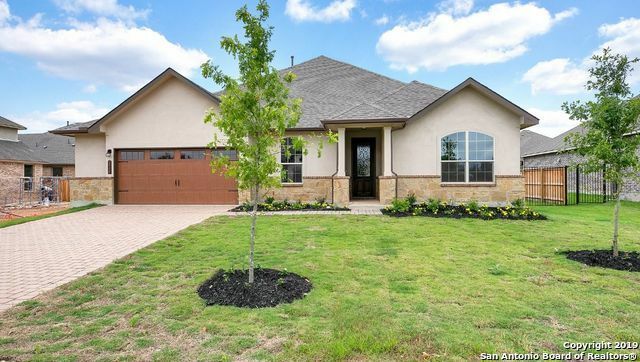 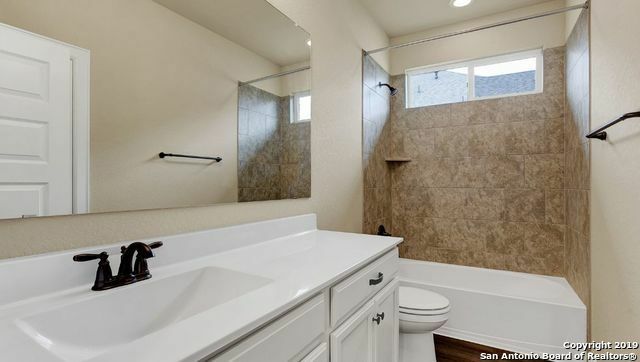 bedrooms, study, 3 full baths, 2 car garage with 5&apos; storage extension, and is newly constructed in Vista de Los Santos, a premier location in San Marcos. 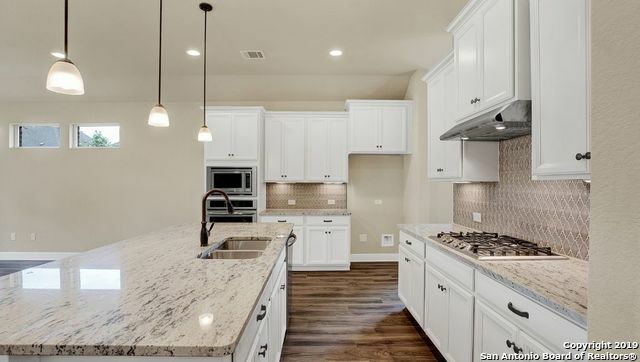 Includes a built-in stainless steel kitchen featuring a large granite island transitioning into the spacious family room space. 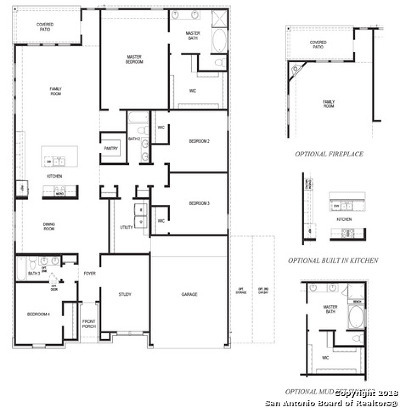 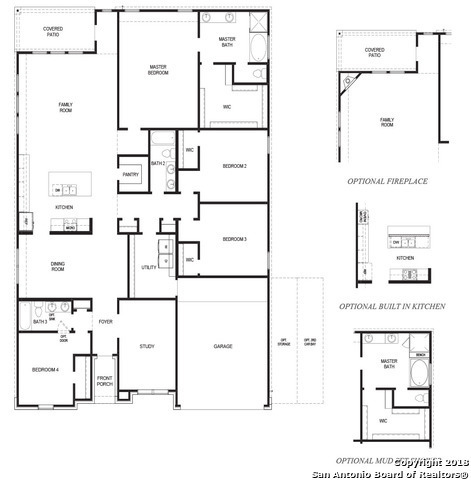 Includes a covered patio ready for an outdoor kitchen, separate garden tub with deck mounted faucet, mudset pebble floor master shower with seat, water softener preplumb, tankless gas water heater, double master vanity.